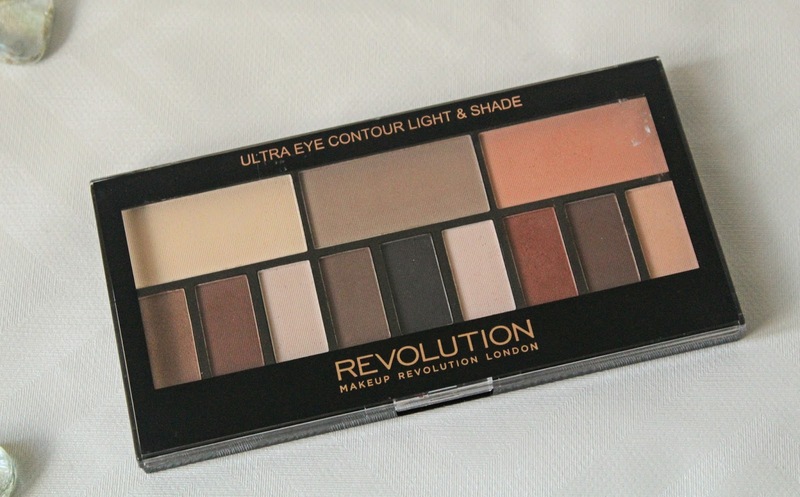 Makeup Revolution Ultra Eye Contour Light & Shade Palette | Review. 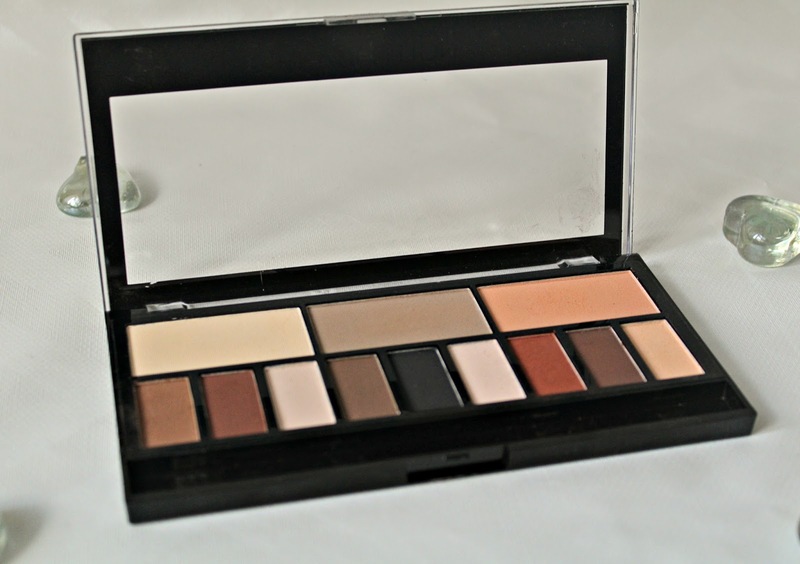 So as you can see from the photos, this palette consists of 12 matte eyeshadows. You get the three larger pans at the top which could be used as a setting powder and contour powder, then you have the other smaller pan eyeshadows underneath, just like the Kat Von D one. The palette is set out into three sections, neutral, cool and warm and has a whole range of colours from browns, blacks to highlight colours. This palette actually comes with a brush which is an upgrade from the standard sponge brushes that you normally get. The brush is a double ended synthetic brush with a blending brush on one side and a flat angled brush on the other end. I love this eyeshadow palette, I have been loving Makeup Revolution for a long time now but I think that they nailed this palette. I was a little worried when I first bought this palette, just incase it did not live up to my expectations and didn't blend as well as I was hoping but I had nothing to worry about, these eyeshadows blend out really well and there isn't that much fall out from them either. These eyeshadows have a new 'talc free' formula and I think that is what is making these eyeshadows brilliant. They are so buttery, smooth, pigmented and so so easy to blend, I honestly can't find anything bad to say about this new formulated eyeshadows. There is clearly plenty of shades in this palette for everyone and their dog. 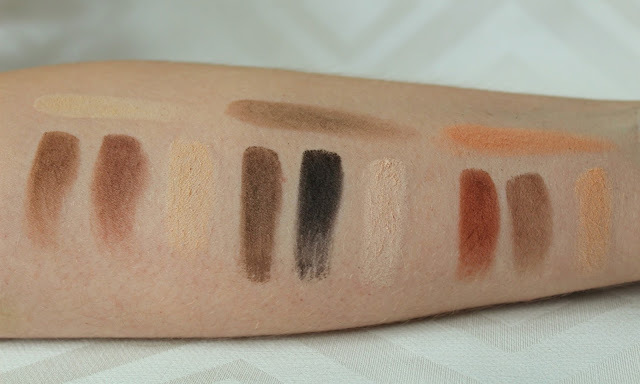 I think that this palette is one that suits all different skin tones and you can create so many looks from this one palette. I like that there is a banana, light shade for those people who have very fair skin like me. The shade that is the most deceiving is the matte black that looks navy in the pan and you expect to not be very pigmented but holy wow, it is so pigmented and very easy to blend too. The only thing that I don't like about this product is the packaging. 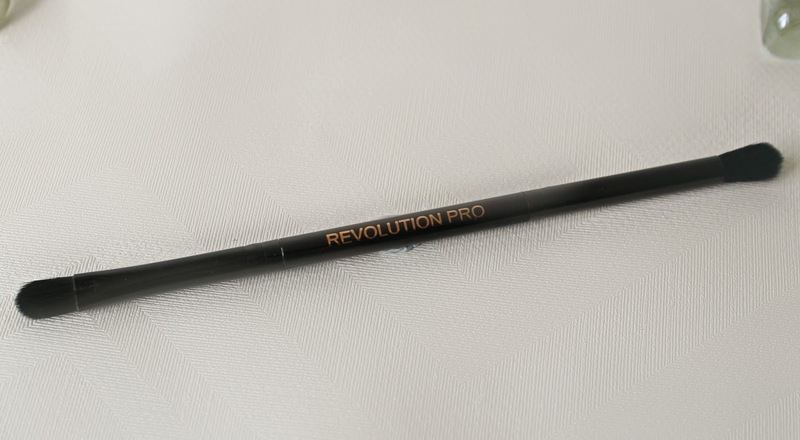 I like some of the other Makeup Revolution palette packaging, they just feel a lot more sturdier and better quality. This palette is made out of plastic, very lightweight and feels a little on cheap side. However, I do love the rose gold writing, I think it stands out lovely on the black background and gives it a very elegant touch, I wish that the packaging was just a little more sturdy because I am so clumsy that I am most likely to break it soon haha. This palette is only £8 in Superdrug and you can get this palette here. Considering this eyeshadow palette is clearly a dupe for the Kat Von D one, this palette is a fraction of the price and the shadows are practically the same colour and also blend out really well too. Are you looking to get your hands on this palette or are you like me and loving it already? Let me know your thoughts. It is very autumnal, I think that's why I love it so much!